Whether you're buying or selling a house, you need someone to represent your interests. Read here to learn why you need a real estate attorney. Homeownership is still the number one way that 51% of households begin to build wealth. 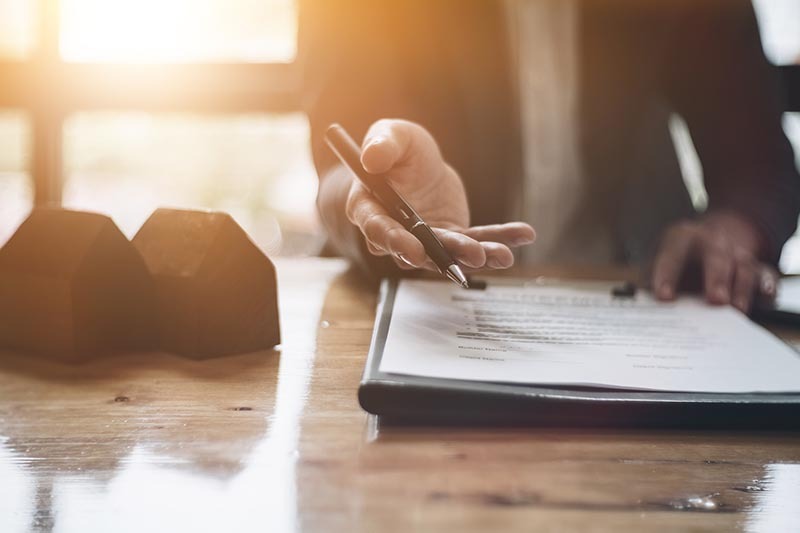 Whether it's a family home or the first in a series of commercial properties, having a real estate attorney ensures that you get the most out of your investment. Finding the right person to represent your interests can be challenging, however. If this is the first time you're hiring an attorney, you might think that this expenditure is out of your budget. If you think about how much less you could spend when buying or how much you could make when selling, the numbers might work well in your favor. If you're just getting your feet wet in the real estate market, you need a real estate attorney. Here are 9 reasons why. A real estate attorney in your area knows all about the ups and downs in the local market. They know which neighborhoods are hot and which are about to turn up. They'll be able to look at the neighborhood where you're considering buying or selling and give you the low down. An experienced real estate agent can make sure you price any property you're selling at an ideal selling point. They can also make sure you don't overspend on anything you're bidding on. Because your real estate attorney has no interest in the outcome of your transaction, they will focus on the best outcome for you. While there are many experienced, honest hard working real estate agents and brokers; sadly there are a few who only care about their commission and therefore only look out for their own interests who drop their clients like a hot potato once papers are signed. Your attorney will give you honest feedback and make sure that your decision is based on what will serve your long-term goals. If they think something will keep you from seeing financial gains at a later date, they'll let you know. Your broker, agent, or other representatives aren't qualified to give you any kind of legal advice. Only your attorney has the training, experience, and certification to give you the advice you need for your transaction. They can let you know if a transaction will be in violation of local laws or if the deal you're getting from someone else is outside legal boundaries. They're sometimes the only person in this transaction who can give you sound legal advice and be able to back it up. If you're a first-time homebuyer, you need all the advice you can get. An experienced real estate attorney has seen every kind of trick in the book. If someone is trying to pull a fast one on you, they'll be able to anticipate it. Your attorney knows the common Ts that go uncrossed that can hang up a transaction. Because they spend so much time reviewing contracts, they'll know where to look for snags or mistakes. Being able to avoid unforeseen complications or problems speeds your transaction along and gets you to the next phase of your financial plan. Real estate contracts are complicated and any kind of revision could slow down the closing process without an attorney. Your attorney has the ability to review and change anything in your contract during their review period. Their goal is to make sure your needs are met and that you remain protected. Real estate attorneys know the complicated legalese that forms the foundation of your contract. They will be able to see through the terminology and let you know if you're getting a good deal or if there's something you should make changes to. If you've realized that the building you're about to invest in has lead paint, termites, or asbestos, what is your next step? Most people would be shattered to find this out and backing out could throw a transaction into legal limbo. Experienced real estate attorneys will know how to handle this issue, resolve it with inspections or repair agreements with owners, and get you back on track. If there are contingencies for the purchase or sale of your property, they'll help you to manage any defects you run into. What if you notice there are serious issues in the property or contract that require you to back out? Do you know the legal obligations that you're required to fulfill if you decide not to pull the trigger? Your attorney will help you manage any repercussions if you need to cancel your deal. Even if you are lacking sound reasons for backing out and just don't like the deal anymore, they will make sure you don't lose any money. Your attorney will be working with the loan officer and the other attorney involved with the deal. They can work together to set the schedule for your inspection, a date for the commitment, and any other contingencies. They will make sure that any deadlines that require a response from the other party are met. They'll also help you by letting you know when a deadline is approaching. If you're not well versed in the real estate world, the number of documents, deeds, and loan forms you need can be overwhelming. Having a real estate attorney to keep track of everything will make sure that you're not buried under paperwork while you're managing the rest of your life. Better than everything listed above, your real estate attorney will offer you peace of mind. Whether you're buying or selling, you'll be dealing with a complex transaction with tight deadlines requiring serious accuracy in filling out paperwork. One mistake could cost you weeks or even cost you money. If you're ready to find an attorney for your next real estate transaction, contact us to make sure you have the perfect fit for your needs. This entry was posted in real estate attorney by verhaeghelaw. Bookmark the permalink.